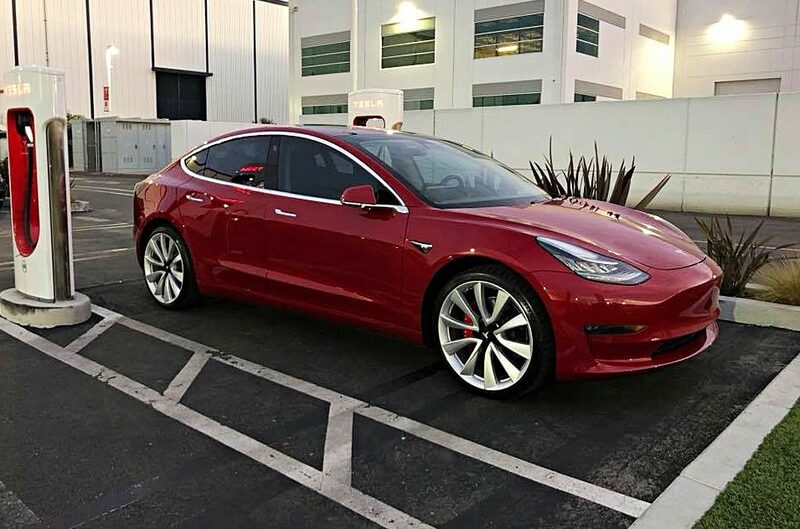 Track Mode on the Model 3 Performance is a highly anticipated feature. Unfortunately, new information from Musk this week disappointed several would-be track testers looking forward to pushing the P3D to its limits. The news was that Track Mode would only come with the Performance Upgrade package on the P3, which is an extra $5,000. Considering that the Performance model itself is $10,000 pricier than the Dual Motor variant, you have to have a hard think before putting down an extra $5K for the thrill of drifting. The overall impression is that the track driver’s dream settings as provided with Track Mode are a work of engineering finesse that needs to be experienced rather than narrated. Think of it as a deranged lunatic off his meds, but coping admirably well in public with no signs of his infirmity. In simple words, power unleashed but elegantly kept under control. You can drift, oversteer, experience zero-latency torque vectors and do all of that, but the writer Davey Johnson likens it to a “normal car that happens to have the chops to keep up with those overtly masculine German sedans,” referring to the BMW M3 and the Mercedes-AMG C63. The second nuance he noted was the feedback received from the steering and chassis. The car doesn’t feel like it’s a 4,000-pound gorilla out of its cage. The driver still retains control of the car, but his senses gather feedback from both quarters so he can actually feel what’s going on with the car. The driver becomes the 4,000-pound gorilla? Maybe that’s why Track Mode can better reflect your temperament when driving the Model 3 Performance. One interesting point that Johnson noted was that the lack of noise and the absence of gear-shifting allows you to be more aware of what you and the car are doing. It’s almost like a dancer moving to music that’s only playing in his head. That’s like being in the zone or being one with the car if you want to go all Zen-ish. From a practical standpoint, you’re going to lose about 100 miles of range, but there’s no loss of power because of overheated batteries or electronics like you’d normally see when a Model S or even another Model 3 variant is deliberately pushed to its limits. The fans and the cooling system automatically step up to handle the anticipated temperature spike when on Track Mode, and Johnson says you actually feel that happening. One final point to take note of is that even the Dual Motor variant is theoretically capable of delivering such a driving experience. The power output, speed and other elements are software-capped. And they’re that way for a reason – normal driving doesn’t require fancy capabilities. Stability, control, safety, convenience, comfort and all of those factors literally take the driver’s seat when it comes to a commute-oriented sedan. Besides, you don’t want your range to be permanently disabled just so you can do 0-60 mph in 3.5 seconds every now and then. That balance of power delivered by essentially the same battery on all variants is gently kept on a leash by the software component of the car. The intelligent part. Of course, greater capability requires upgraded hardware to handle the dynamics of performance, so that element is equally crucial. But when that leash is lengthened and you have the additional hardware to handle it, that’s Track Mode in its essence. Battle of the 3s: BMW M3 vs Tesla Model 3 Performance, Is One Really “Better”?